My family and I are Christians and we operate our business according to the Christian principles of the Bible to the best of our abilities. We attend the Wayne County Bible Center ( http://waynecountybiblecenter.com )If you are looking for a Christian based farm to do business with, we will be more than happy to serve you. On the other hand if you would rather not do business with a Christian based farm, you have been informed and we understand if you take your business elsewhere. At Greuter Farms, we take the extra step to ensure you will receive a high quality product. We ensure every phase is performed with quality, flavor and tenderness as our primary focus and highest priorities. Dry Aging, for example, is one of the most important phases. All of our beef is aged for 10 to 30 days, “the old fashioned way,” which allows nature to work its “miracle”. All of our meat is processed at a couple different State Inspected facilities to insure quality and safety. We ship our meat frozen in insulated containers and guarantee it to be frozen when you recieve it. 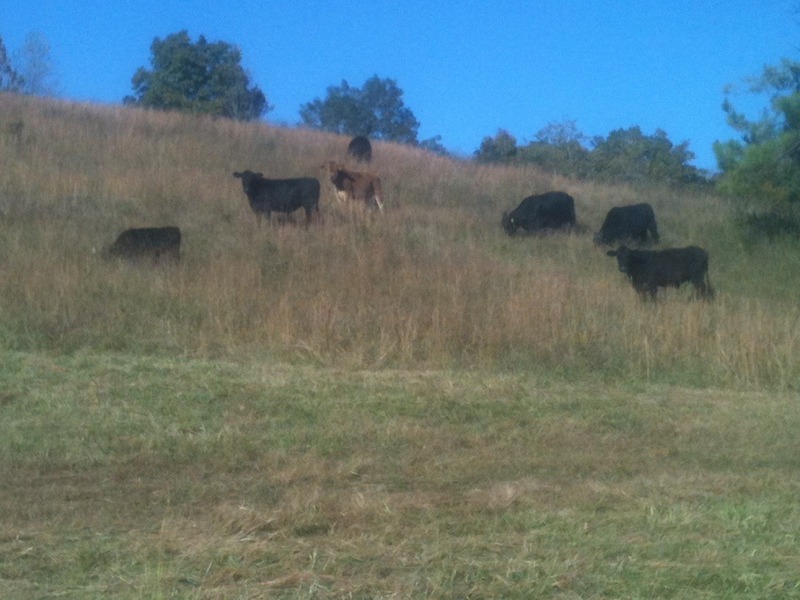 Our beef are fed grass and an all natural supplement and they are also on pasture so they get all the grass they want. I found by feeding this way we not only get the extra Conjugated Linoleic Acid (CLA) and Omega 3 from the grass but also the tenderness and flavor. Our hogs are fed grass and an all natural supplement. They are kept on pasture. Our chicken free range all over the farm and only go in the barn to roost or lay eggs. For their protection we now have them in “chicken-tractors”. These types of coop’s have a large open are, where the birds can free range at the same time being protected from predators. We move these coop’s to new areas of the pasture on a regular basis, so the birds always have fresh grass. WE RAISE ALL THE MEAT WE SELL ON OUR FAMILY FARM IN MIDDLE TENNESSEE. WHEN YOU PURCHASE FROM US YOU ARE BUYING DIRECT FROM THE FARM. WE ARE A SMALL FAMILY FARM SO SUPPLIES ARE LIMITED. The ever-increasing demand for beef has caused the meat industry to cut corners and quality. Today’s industry standard includes a process called “wet aging”. In this process, the beef is cut and wrapped in vacuum bags with a preservative called Sodium Nitrite within 2-5 days of slaughter. Please visit the Organic Consumers Website for further information on the negative effects of Sodium Nitrite. This causes the beef to develop a strong flavor and decreases the tenderness of the product. Sodium Nitrite has also been known to cause severe allergic reactions. Dry aging is just one example of our unyielding commitment to quality.